We’ve spent months planning our annual trip to the CLA Game Fair, this year held at Ragley Hall in Warwickshire, and this weekend we will see the results of our effort. With two stands we will be showcasing new season products from your favourite brands including Barbour, Musto, Le Chameau and Schöffel to name a few. If you don’t have tickets for the CLA there’s still time! You can view the official CLA website here where you will also be able to purchase tickets and get all the information you need. If you’re not coming to the CLA we will have pictures and posts online once we’re back to show you how it went, and with the sun set to shine, it’s sure to be a great weekend. I will be keeping you up to date with all of the latest company news and buzz surrounding Philip Morris and Son. So if you want to stay in the loop, then keep an eye out for my regular blog posts. 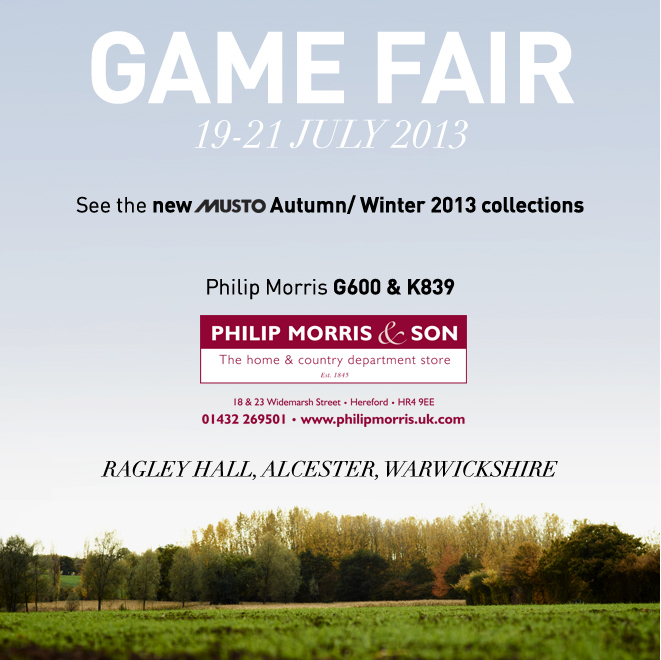 CLA, CLA Game Fair, Game Fair, Ragley Hall. Bookmark.